Founder of Push, Rami’s true passions lie at the intersection of sport and technology. Motivated by his own experiences as an athlete and witnessing the potential that technology can unlock in sport and athletes at all levels, Rami set out on his journey to launch Push in 2013 and hasn’t looked back since. Push’s products are now in active use by over 38 pro teams across all major sports as well as in training facilities that are busy developing tomorrow’s elite athletes. 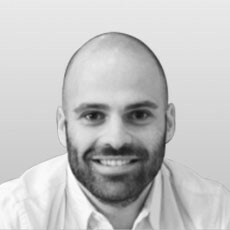 Rami has a degree in Mechatronics Engineering from the University of Waterloo and a Master’s degree in Engineering Systems and Computing from the University of Guelph. He has played rugby competitively and you can find him in the gym or running on the streets of Toronto.